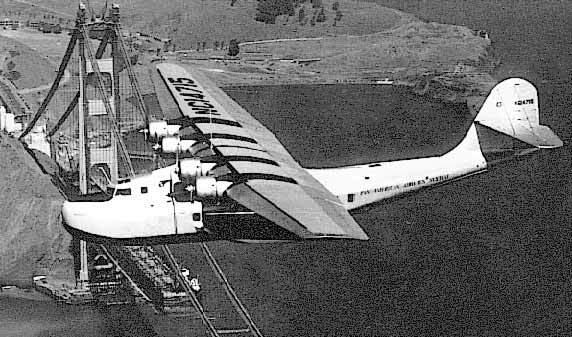 Pan American Airways Philippine Clipper passes over the incomplete Golden Gate Bridge in 1936. This Martin M-130 Clipper crashed January 8, 1945, near Booneville, in Northern California. See: The Associated Oil Company's portfolios of bridge construction photos. See other Pan American Clipper ships at Treasure Island.